THE WICKED SIDE OF WIZARDRY Cute girl wizard Lucy wants to join the Fairy Tail, a club for the most powerful wizards. But instead, her ambitions land her in the clutches of a gang of unsavory pirates led by a devious magician. Her only hope is Natsu, a strange boy she happens to meet on her travels. Natsu's not your typical herohe gets motion sickness, eats like a pig, and his best friend is a talking cat. 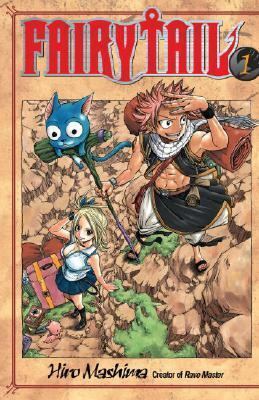 With friends like this, is Lucy better off with her enemies?Mashima, Hiro is the author of 'Fairy Tail 1' with ISBN 9780345501332 and ISBN 0345501330.